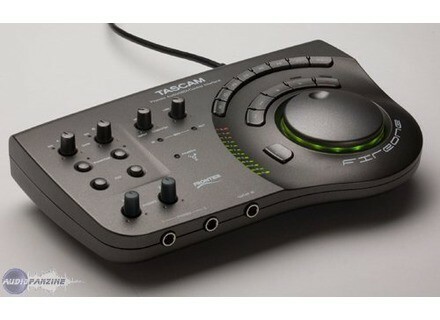 FireOne, FireWire audio interface from Tascam. 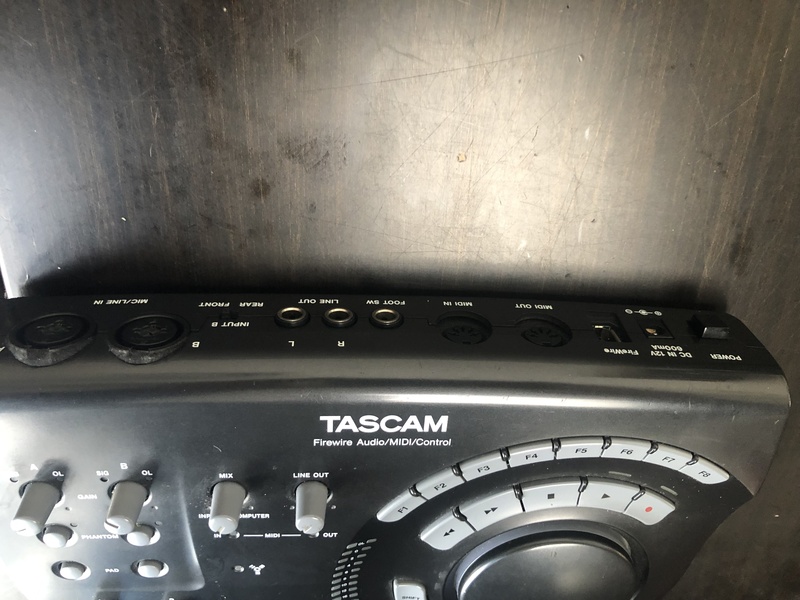 stompboxjon's review"Compact and works great"
The Tascam FireOne is a very small and compact device that can be moved from computer to computer quickly and easily. The best thing about this interface is that I didn’t have to install anything while I was using it a few years ago. Any one of my computers that I plugged it in, it worked right away without any driver installations, which was weird but I was happy it was like that because it saved me a lot of time. There was no set up at all for me, it was plug and play. This little device as two microphone inputs and two main outs as well. I didn’t expect that when I was reading up on the product online before purchasing it from the website. Once you purchase the FireOne (if you buy it new) you will also receive a copy of Live Lite 6 the Tascam edition. 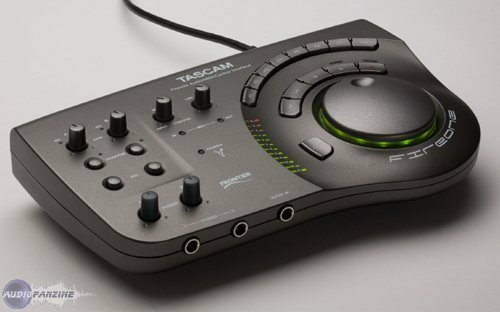 Which is basically a recording interface or a DAW, but I wouldn’t use that software because I am comfortable with the software that we already use. But just in case you need something to record with, it comes with it. 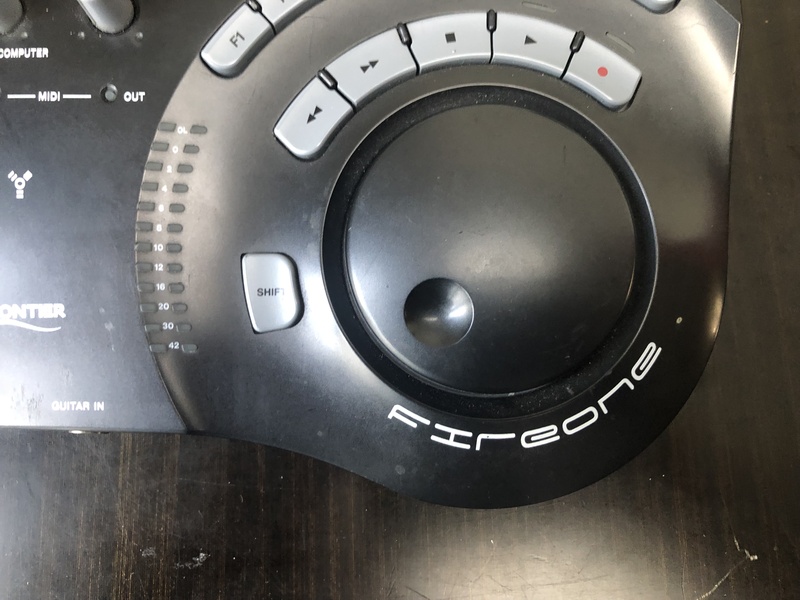 I had zero compatibility issues with the FireOne nor did I have any issues with using it in Cubase and in Acid Pro. It synced right up and was recognized and worked immediately. It does come with a very thin small manual but you wont need it at all. Best part about the Fire One is that it is small and compact , but at the same time it still gives you two inputs for microphones. Yes, it is a very good small interface, but I feel it is a little overpriced because there are other interfaces that can do the same thing and have the same specs as the FireOne and they are about 50 dollars cheaper. But, its worth the buy. It will do exactly what you need it to do and its easy to pack up and take with you. The price, the ergonomics, the low latency, the two headphone outputs and the transport controls. Mainly to mix in my home studio, read mp3 files and edit concert footage. What's your setup (motherboard, CPU, RAM, hard drive,...)? Do you use it with other instruments or systems (mixing console, preamp, DtD, ...) and what's your setup? I use it mainly for guitars, R300 InterM and Monitor One mkII for monitoring, 8-input SM Pro Audio and Art Tube MP preamps, Sonar 6 PE sequencer. No, not really. I installed the latest driver and playback was very unstable. After checking all my applications, I installed the driver provided with the interface (downgrade from v1.1 to v1.0) and everything went smoothly. Did you encounter any incompatibility problems? Yes I did, with the latest driver, which I guess is conceived for Vista! It couldn't be easier, a real surprise! The printed manual is very clear and there is also a printed addendum. Yes, no complaints: no dropouts, no noise, no unexpected stops, no Windows blue screen. Update policy seems to be ok.
What's the latency of your system? This really amazed me: 2 ms using 35 audio tracks and 25 plug-ins. I can click anywhere on the playback area without having dropouts. The best and ultimate test, at least for me, was when I started playing with the position markers in my songs (assigned to F6 and F7 keys): I would let the track play 2 or 3 quarter notes and then get back to the previous marker during playback, I also did some scratching and didn't experience a single crash. How many tracks can you record/playback simultaneously ? I haven't tested it yet, but probably not more than two due to the interface's setup. It's worthy of a 10. Since twelve o'clock and it worked 6 straight hours with Sonar 6 without interruption. Pros: the transport controls and the programmable F1-F8 keys in Sonar (that's pure joy). Cons: I want the same interface with 8 XLR inputs, the second headphone output freely assignable to any sequencer output, and at least 4 additional outputs for Aux sends or monitor mixes. Unbeatable, given its reliability and the transport controls! Yes, although it's a matter of luck. I just sold my Alesis i/o 26 which wouldn't work reliably on my system with less than 6 ms latency. 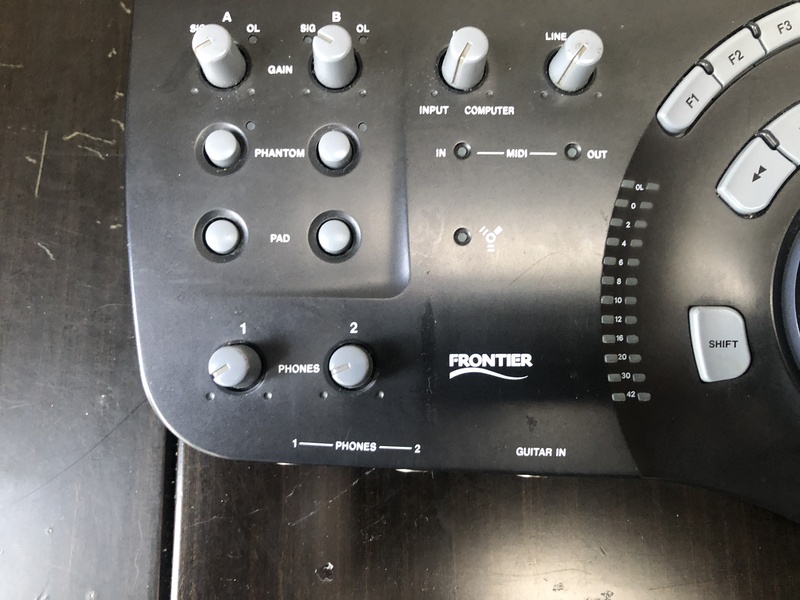 I was looking for an interface on Audiofanzine and I saw this gear. I wrote this review because a playback latency of 2 ms is the best thing I could ever wish for my new demo tapes. nobazz's review (This content has been automatically translated from French)" alala." Crossing here, just to kill some rumors ... I used this card there is still a year as its main card with Ableton 8 in win7 32bit. So yes, it is compatible beyond XP. EXCEPT: it could never be my default multimedia sound card under Windows 7. Mean by that that I could not make him read such sound in media player. I never understood why (I was working in 16bit 44100 also in my DAW), but it does not pose a problem for me since I had another soundcard (Alesis Multimix FX) who was helping me on the few occasions where I had need. This PC is dedicated to music, I'm not using the HiFi. I never had any problems with crashes, I have more with the fast track ultra 8R that I use for. Although this last has other advantages, but I regret the stability side FireOne. Besides latency side, I think it is worth, and it was faster than the FX multimix which I used to kick Mixer and only emergency card at the time. Never had either of installation problems, at least for me to use in Ableton, either as a sound card or as a remote control. A notice lower talks about noon compatibility problem ... uh .... I do not see what it could be ... She has always responded to the finger and the eye in my case. No need to book. I have not had any compatibility issues from the problem mentioned above. It has always worked well whatever the app I used with: stand alone vsti, sony audition for editing, Sony Vegas for video editing, ... never had bread. > Balance between the direct and after conversion (when shooting), that's cool. > The controllers !!!! 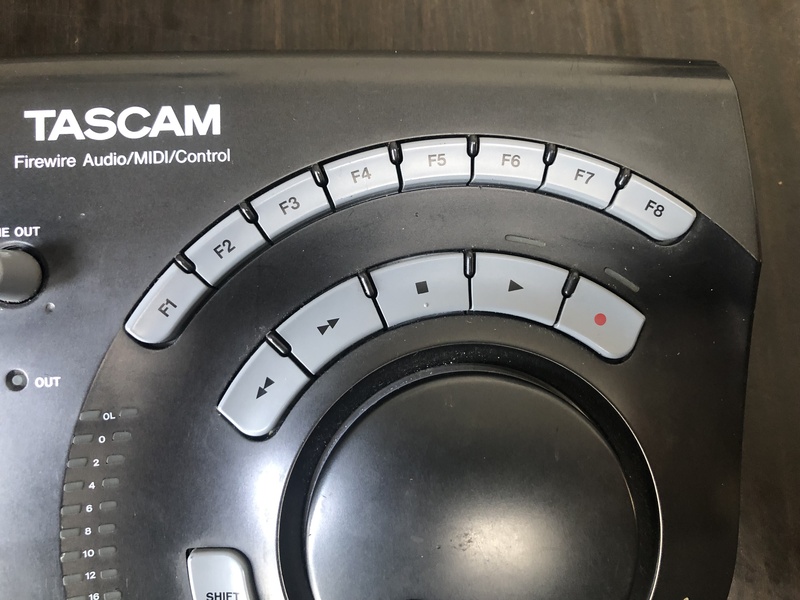 why is it always wisely placed on my desk this big jog informed that allows easy navigation (in live audition and sony / vegas is nickel), just the buttons above to record, play and stop, forward, back .... She always used me for that. In addition to Push, mode setting, I think I would have great difficulty me spend jog. And if I post this review today is that I think at the price it costs Cygnus, I would buy just for that if I loose my own one day. She served more than 5 years as a sound card, it still serves me as a controller. She looks indestructible. All was well until Maverick planned obsolescence .... Cheers!